For many of us, extremely dry hair is less of an issue in the summer since there’s more moisture in the air for the hair to absorb. That is, of course, unless you live in a low-humidity, dessert-like climate. Add a little heat damage to that and we’ve got a serious problem. 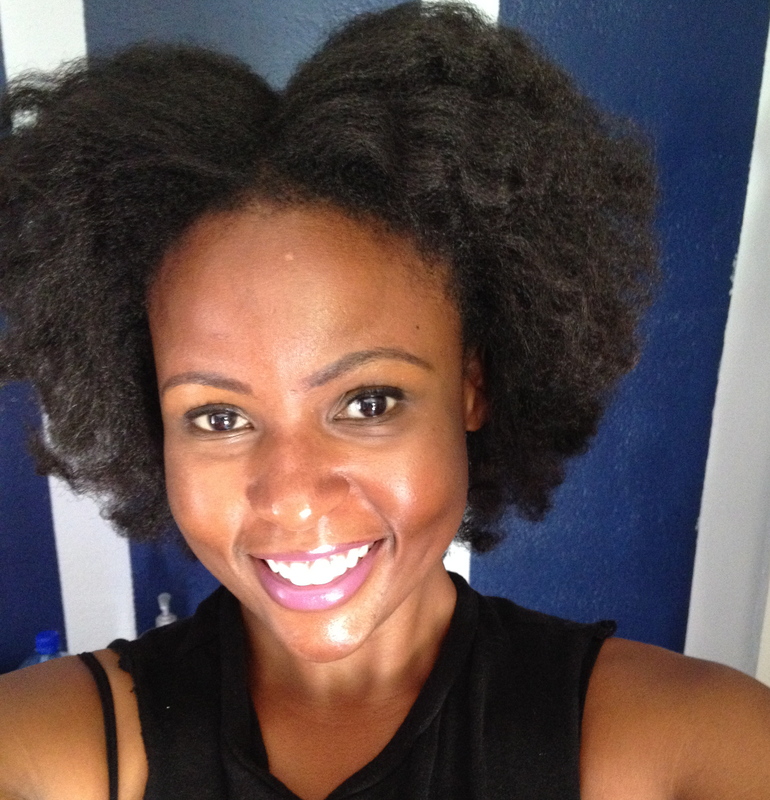 After getting my hair pressed, (with hot comb and flat iron), for the first time in two years, I was having trouble getting it to bounce back, and it felt more brittle than it did prior to the straightening. Just Natural’s Hair and Skin Care has an entire line of products dedicated to revitalizing and restoring dry, damaged hair. Both the Extreme Dry Hair Shampoo and Conditioner contain ingredients that I’d never seen listed in any other products I’ve used. The shampoo, for example, uses hemp seed oil to penetrate and protect the hair, while the rice and jojoba protein strengthen it. The shampoo also has daikon radish and camellia seed oil to aid in manageability and shine. (Side note: Be sure to shake the shampoo before using each time. Some of those ingredients are pretty dense and can settle at the bottom). Equally packed with nourishing components, the conditioner is formulated to repair and smooth the hair with rich ingredients like murumuru butter, buriti fruit and macadamia nut oil. Both are scented with essential oils and smell fantastic. (See website for full ingredient list here.). The shampoo produces a full, rich lather, but doesn’t leave the hair feeling stripped. Other “natural” shampoos I’ve used in the past made my hair incredibly dry, so I would only shampoo once or twice a month at most­­–opting to co-wash instead. The Just Natural formula is gentle enough that I could see myself using it more frequently if necessary. And while the shampoo was great, the conditioner was definitely the stand out in this one-two combination. As soon as I applied it, I felt a difference in my hair­­–so much so that I got out of the shower to take a photo while the conditioner was still in. I could feel my curls coming back to life as I worked the conditioner through with my fingers and detangling with a shower comb was an absolute breeze. Although, Extreme Dry Hair Conditioner is not described as a leave-in, I decided to put on a conditioning cap and let it sit for 20 minutes. I can’t be certain if this was any more beneficial than if I had just left it in for a few minutes and rinsed, but my hair sure felt great after. 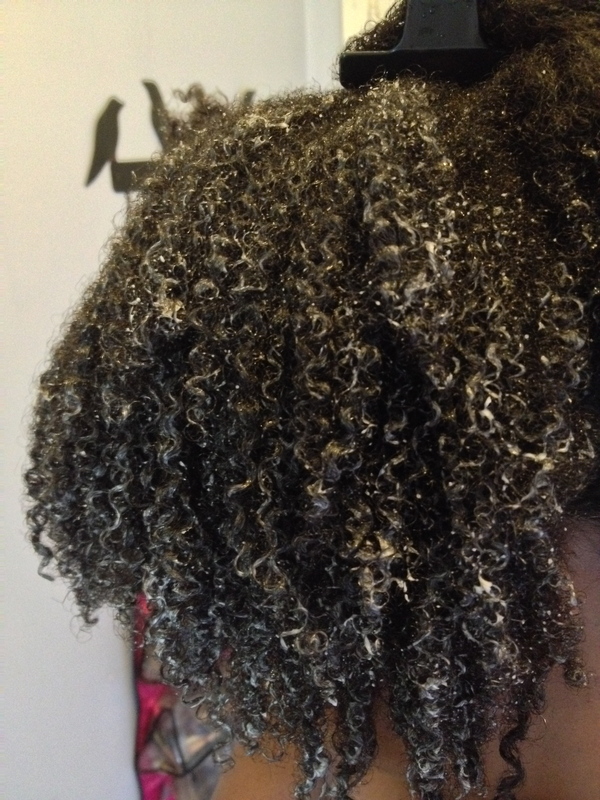 After washing and conditioning, I applied my regular leave-in and then added Just Natural’s Dry Hair Treatment. This product is packed with 9 botanical oils, (borage seed oil, rosehip seed oil, and kukui oil to name a few), 7 essential oils, and a boost of vitamin E–designed to seal in moisture, soften and repair dry, damaged hair. Since this product is oil heavy, I recommend using it with a water-based leave-in and spraying the product on your hands to distribute evenly through your sections. Once I was done applying the treatment, I let my hair air dry for about 15 minutes and did a very light blow-out on the lowest settings. I only dried each section of hair for about a minute or so. I have never had much success with blowouts in the past. I always felt like my hair ended up fried. But this was by far my best blowout experience. My hair still felt soft, and I was able to move the dryer comb through my hair with minimal effort. After finishing the blowout, I twisted chunky sections and let my hair continue to air dry for another 20 minutes, then took the twists out. This was my first time trying this styling process and I absolutely loved it. The oils from the Dry Hair Treatment did not weigh the hair down at all. It had body, movement and was soft to the touch. 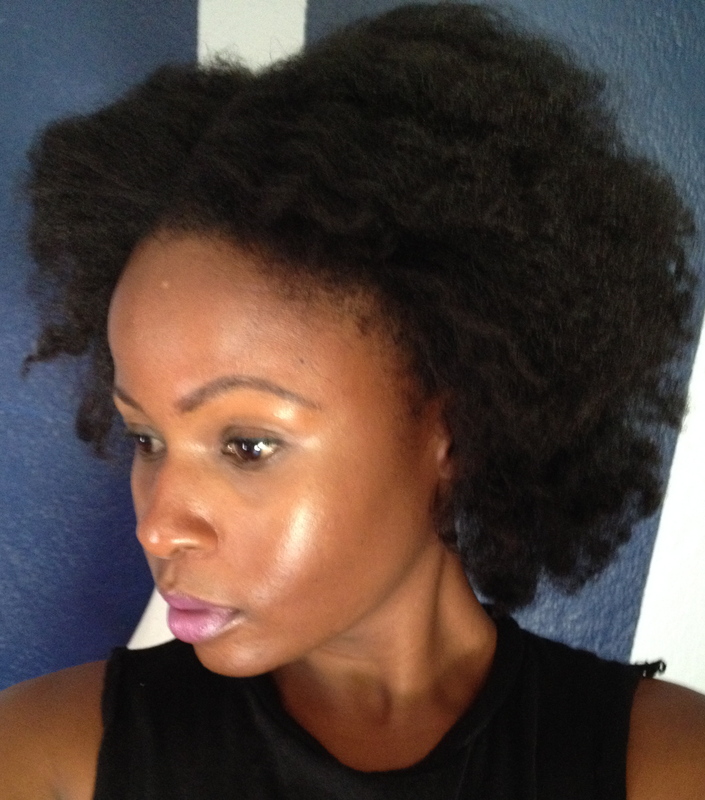 The Just Natural Extreme Dry Hair line really helped to revitalize my hair and restore some its life. I highly recommend it for anyone who’s had trouble finding a gentle, cleansing shampoo that also hydrates the hair or for those who just need to replenish moisture and give their hair some vitality. The shampoo and conditioner come in 16 oz. bottles. The shampoo retails for $24.99 and the conditioner is $23.99. The Dry Hair Treatment comes in a 4 oz. bottle and retails for $32.99. All products are available on the Just Natural website. Until next time…happy washing!